After the previous introduction to the Aqua Thingy, quite a few improvements and upgrades took place. Here are a few of them. 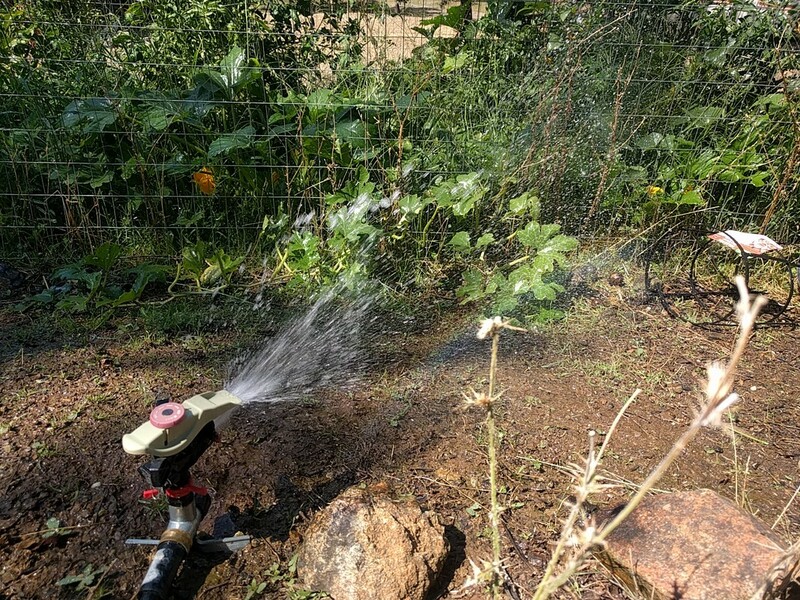 There are really only two actions that the Aqua computer regulary performs: irrigating and circulating the water. What is this? A bass? 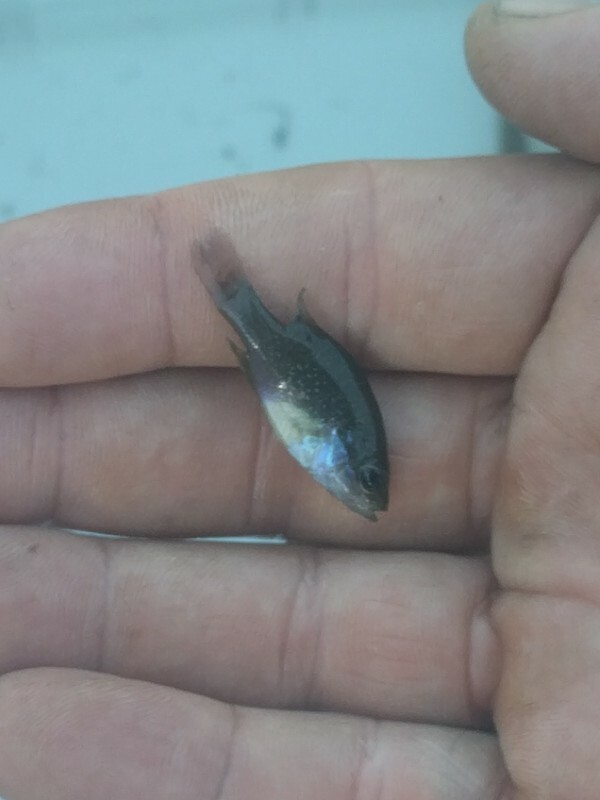 Using a minnow/crawdad trap, 7 of these little fishies were caught in the big pond and then added to the aqua culture pool. Yes, I will be eating them when they are large enough. Pressing the "circulate" button will open valve 2, and energize the water pump for 15 minutes. 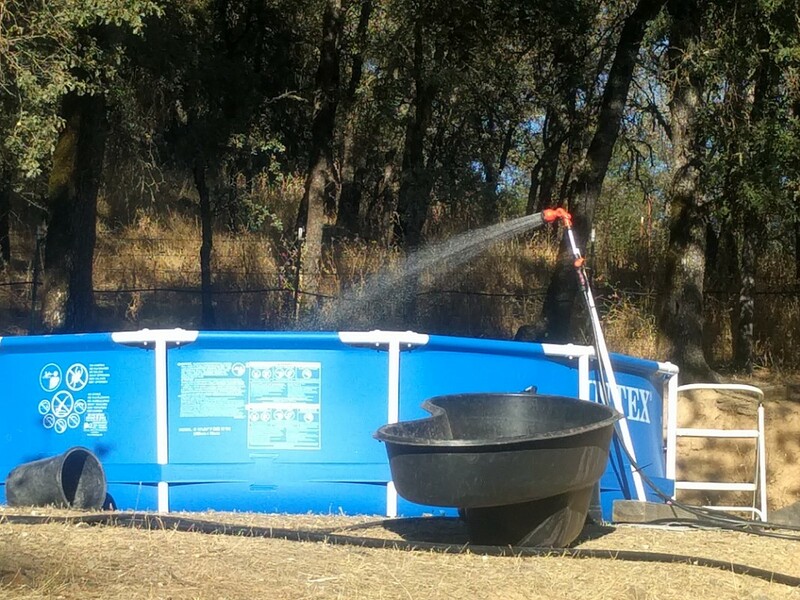 Aside from circulating the water, this also helps to oxygenate the water for the fishies. 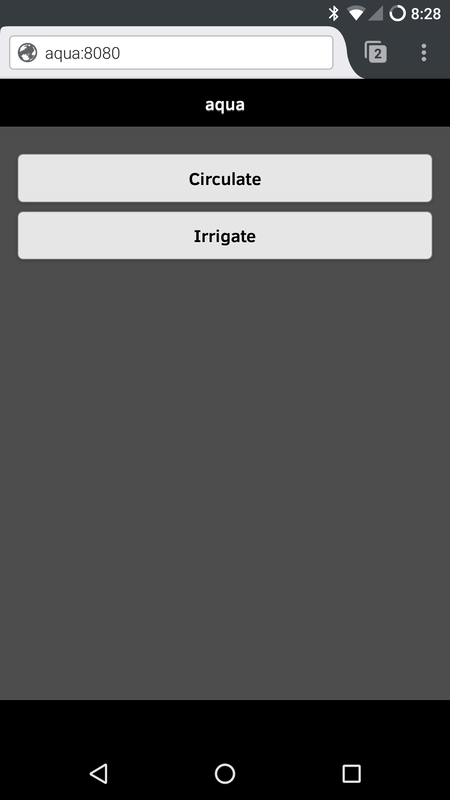 Pressing the "irrigate" button opens valve 1, and energizes the pump (also for 15 minutes). At 2 gallons a minute, this will soak my garden with 30 gallons of water. 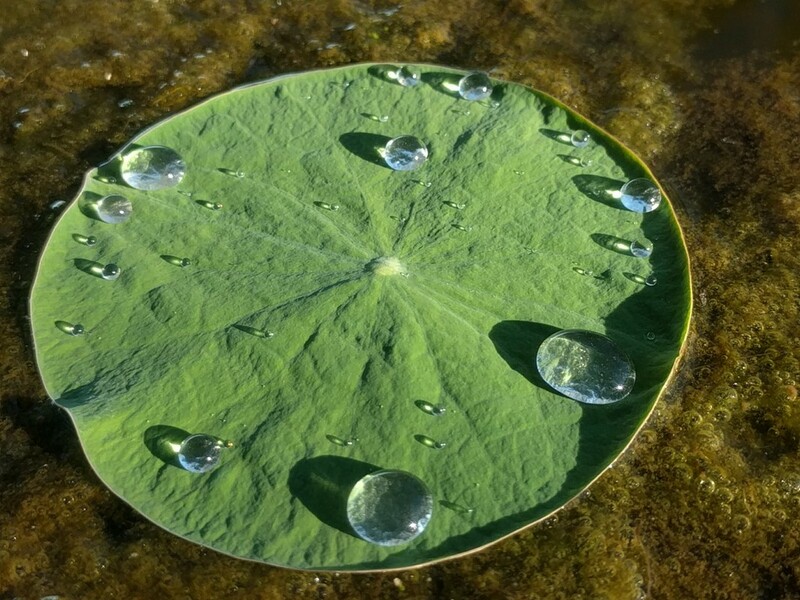 The lotus plants in the aqua culture garden are doing quite well, and I find the hydrophobic leaves to be absolutely facinating. 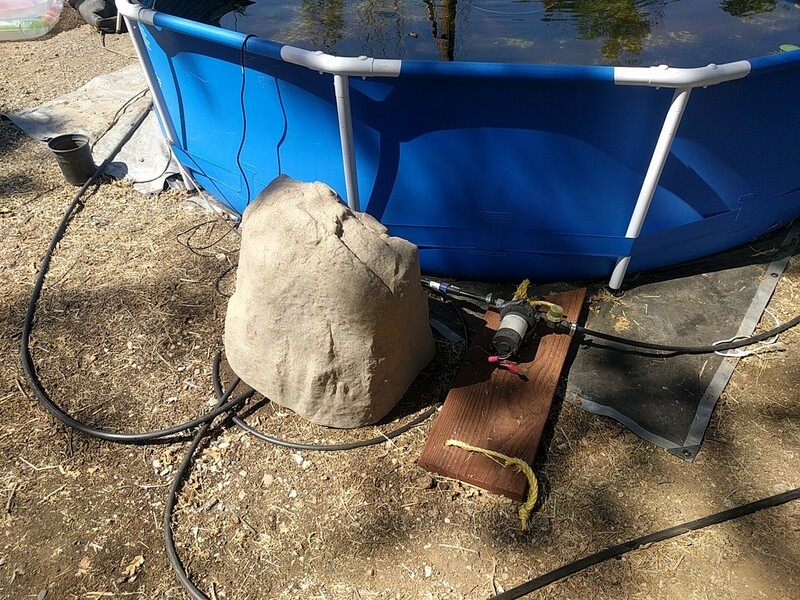 The fake plastic rock that covers the computer, battery, charge controller, relays, and valves is slightly translucent and will illuminate at night due to the LEDs on the covered components.